The Wall Street Journal is launching two new digital offerings to cover entrepreneurship and startups: The Accelerators and Startup Journal, the newspaper announced today. As for The Accelerators, it is designed to be an “online forum,” bringing together relevant external contributions around a weekly topic. It will be overseen by the WSJ’s startups and small-business editor, Vanessa O’Connell, and will also host regular live chats. 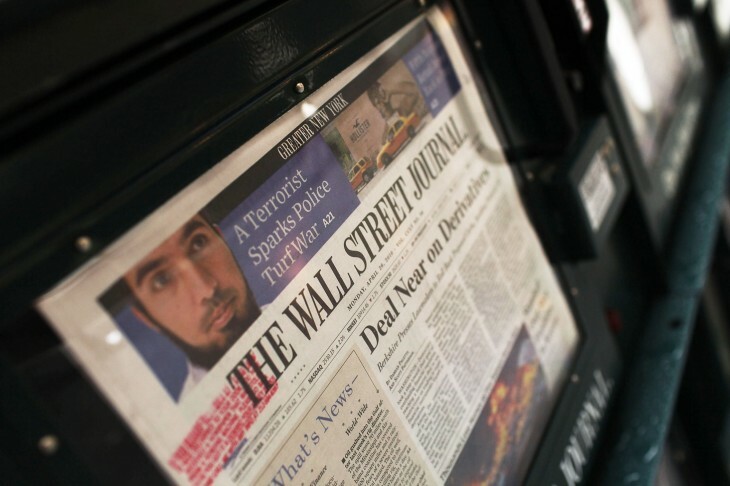 The WSJ has already offered targeted content on specific verticals, such as its recently-launched ‘Wealth Management’ and ‘The Morning Jolt’ pages. Still, it is interesting to see a large media outlet expand its coverage of digital entrepreneurship. “The disruption within the startup world has been closely followed by our readers, and we saw a significant opportunity to provide our audience with more robust coverage by launching Startup Journal and The Accelerators,” explains The Wall Street Journal Digital Network’s editor, Raju Narisetti. It is worth noting that the Wall Street Journal isn’t the first traditional newspaper to engage with tech entrepreneurship. As you may know, several of them even went beyond coverage, such as BBC Worldwide and the Irish Times, which respectively launched a mentoring scheme and a digital challenge for startups.